The JSYO serves more than 350 talented musicians from all over Northeast Florida through six levels of ensembles – two full symphonies and four levels of string ensembles – that vary by repertoire and technical advancement. The JSYO season begins in September and ends in mid-May but includes holiday breaks. Students are admitted through introductory interviews or competitive auditions held each spring. Students interested in interviewing (Jump Start Strings) or auditioning (all others) for the JSYO should view the ensemble audition guidelines below. The JSYO Philharmonic consists of some of the most advanced and pre-professional musicians in Northeast Florida. Members range from high school through college, performing challenging works in the standard orchestral literature. 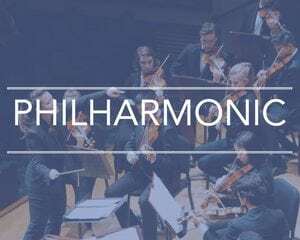 Philharmonic students also have the opportunity to participate in chamber music, the Young Artists Concerto Competition, and to perform side-by-side with the Jacksonville Symphony. Students also participate in a 3-day retreat to focus on team building and ensemble playing. 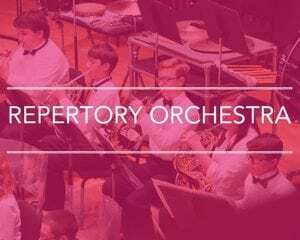 Repertory Orchestra consists of intermediate and advanced musicians, typically in middle and high school. This full orchestra performs standard works from the orchestral literature. Repertory Orchestra students also have the opportunity to participate in chamber music and to perform side-by-side with the Jacksonville Symphony. Students also participate in a day-long retreat to focus on team building and ensemble playing. 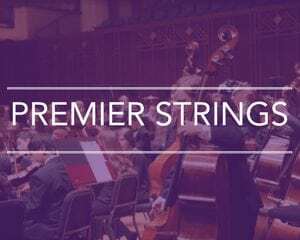 Premier Strings is comprised of string players at an intermediate and advancing level. This ensemble performs a combination of original music and arrangements of standard orchestral repertoire. Members are generally in middle school or early high school. Students also participate in a day-long retreat to focus on team building and ensemble playing. 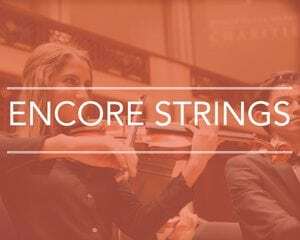 Encore Strings is a string orchestra for intermediate level musicians. Musicians in this ensemble are several years into study on a string instrument and are familiar with ensemble playing. Foundation Strings is a string orchestra for advancing beginner musicians recent to orchestral playing. 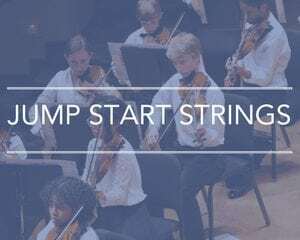 Jump Start Strings is a beginning level string orchestra for musicians with one year of instrumental instruction or less, including students seeking to pick up their first instrument. Students participate in string camp at the beginning of each season to jump start music skills, instrument technique, and establish proper practice and rehearsal methods.